Roman Chamomile Essential Oil Calms and Relaxes! Roman Chamomile Essential Oil creates inner peace. It is a calming oil that resonates well with adults, children and animals! Soothing to all types of skin, it is used extensively in Europe in skin preparations. Roman chamomile is also beneficial when added to massage oil for muscle discomfort after exercise. There are two professionally made blends that I use that contain Roman Chamomile: Surrender and Motivation essential oil blends. They both help you work through resistance so you can move forward. If you have procrastination issues, check out these two blends! Looking for German Chamomile Essential Oil? This section is a fun and easy reference guide for Roman Chamomile. It will tell you how to use it and what to use it for. It will also provide you with some fun suggestions, safety precautions for you and your pet! 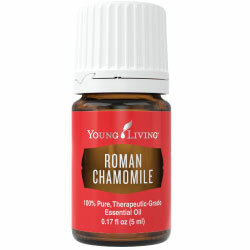 As I receive new tips and testimonials for Roman Chamomile they will be added to the page, so check back frequently! Purchase Roman Chamomile Essential Oil Here! Why is this information important? There are several different species of Chamomile. Roman Chamomile (Chamaemeleum nobile) and German Chamomile (Matricaria recutita) are the most common species used for essential oils. But remember, even though they will share similar constituents they are not totally the same; and may be used for different purposes. Where is the name derived from? Chamomile comes from two Greek words Kamai and melon meaning "ground apple". Why be bothered with this number? ORAC stands for Oxygen Radical Absorbance Capacity. It tells you the antioxidant capacity of a food item. This was developed by the USDA researchers. For instance: Strawberries= 1,540; Clove = 1,078,700. Wow! The number for clove is NOT a typo! Did you know in Ancient Egypt, Chamomile was dedicated to the sun god, Ra? 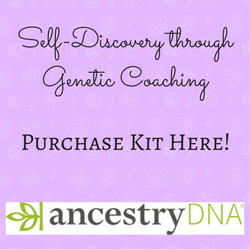 Ra was evoked to restore wholeness to the Self. What are the Documented Uses Roman Chamomile Essential Oil? Soothing to skin, soothing muscle discomfort after exercise. What is the Spiritual Influence? Brings peace, love and acceptance to self. Can be helpful for shock and grief. Opens communications to the Angelic Realm by opening intuition and receptivity. What Chakra is Affected? Opens the heart and crown chakras. Can this oil be used for Animals? Yes, works great on stress related issues. The dogs and horses love it! Note for Animal Use: Certain oils can be very toxic to cats. Citrus and pine oils in particular that are not therapeutic grade! Please consult your vet if you are not sure about applying any essential oil to your pet. What are the Safety Precautions? First, only use therapeutic grade essential oils! Roman Chamomile essential oil does not have any known contraindications. Non-irritating and non-toxic. Did you know that Chamomile mixed with flour was used as a folk remedy? Did you know that mothers have used Roman Chamomile for centuries to calm children? Want to Purchase Therapeutic Grade Roman Chamomile Oil? Go to the Oil Shop! Buy Roman Chamomile Oil here! Combine Roman Chamomile with Lavender for calming and relaxing! Your pets will love it!